Gross Weight (GVWR) 7600 lbs. 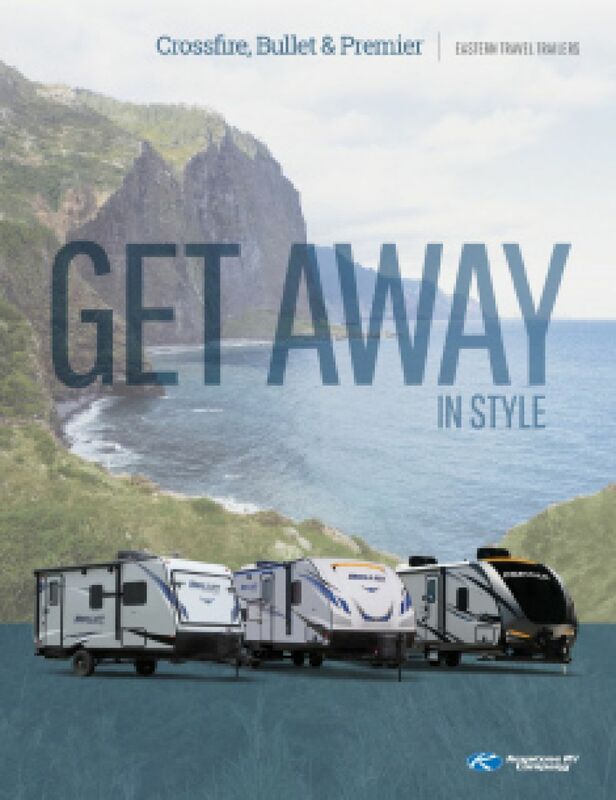 Adventure is calling your name, so take off on a journey with the highly reliable 2019 Keystone Premier 29RKPR Travel Trailer! This RV is waiting for you at RV World MI, located in beautiful Grand Rapids! We offer personalized service and worldwide delivery, as well as the best RV prices in the country! These are just a few of the reasons why we're one of the top RV dealers in the state of Michigan! Visit our lot at 7834 S Division Grand Rapids Michigan 49548 or order your customized RV online! For more information about this Travel Trailer, call us today at 616-591-3632! You can lounge under the cool shade anywhere you go, thanks to the 15' 0" awning that's easy to pull out! This RV can be taken all over the country, with an easy towing hitch weight of 685 lbs, ship weight of 6172 lbs, and GVWR of 7600 lbs. Don't feel cramped while you camp! 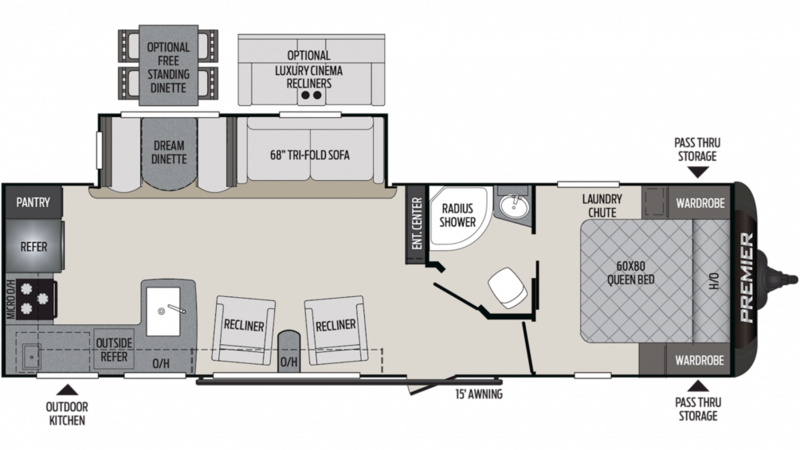 This RV is perfectly spacious for your family, with a length of 34' 5" and width of 8' 0"! At 11' 1" high, you can stand up and walk around without crouching or bumping your head! The 13500 BTU a/c unit and the 30000 BTU furnace keep a stable, comfortable temperature inside this lovely camper! When the sun goes down on your fun-filled camping days, you'll experience a great night's sleep in the full bedroom of the Premier 29RKPR! It's handsomely furnished, and the regal Queen bed is roomy and comfy, so you'll ease off to dreamland in no time! It's not the only place for your family to sleep well, as there are enough sleeping accommodations for up to 6 people! You don't have to worry about whether your family is eating well on the road when you camp in the 2019 Keystone Premier 29RKPR! It includes a modern kitchen with great cooking appliances, including a 3 burner range cooktop, 8.00 cu. ft. refrigerator, and more! You'll cook up delicious hot meals for breakfast, lunch, and dinner every day, and clean up will be a breeze with plenty of water thanks to the big 43 gal. freshwater tank! When you want to wash off the day's dust, dirt, and grime, trudging through the campground to the damp, cold, and often crowded campground community bathroom is super inconvenient! That frustration will be a thing of the past, thanks to the full bathroom with its roomy shower and handy Foot Flush toilet! There are 40 lbs. of LP tank capacity, so the water stays hot for longer periods of time! The 60 gallon gray water tank and the 30 gallon black water tank stores all the used water and waste discreetly, so you don't have to look at or smell it! This model boasts a super outdoor kitchen as well! You can cook up great meals for the family and never miss a moment of the outdoor fun and sun!